Plantar warts are noncancerous skin growths that occur on the bottom of the foot. Children are more likely to have plantar warts than adults. Plantar warts are caused when the human papillomavirus (HPV) enters the skin through very small cuts and abrasions. Although anyone can develop warts, persons with weakened immune systems are more likely to do so. Plantar warts are usually small and hard. They have a rough surface with well-defined edges. The pressure exerted by walking causes plantar warts to be flatter than warts located elsewhere on the body. Blood vessels that have grown up into the wart appear as small black dots that are often mistakenly referred to as “seeds”. Occasionally the warts grow in clusters. Plantar warts that are located on the ball of the foot or the heel can cause sharp, burning pain. Because some malignant lesions can be misidentified as a wart, it is important to let Dr. Burmeister make a thorough and accurate diagnosis. He will diagnose a plantar war through observation. He will also ask about your symptoms and your health history. 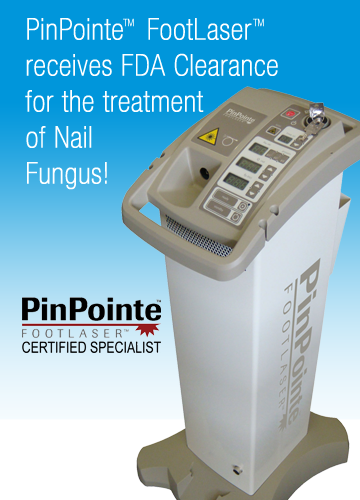 Plantar warts can be very resistant to treatment. Since most of the plantar wart is under the skin’s surface, treatment is not necessarily easy. It is also not necessarily permanent, as plantar warts often reappear. Plantar warts occasionally go away without treatment. If the wart is not bothering you, your immune system might be enough to make it go away. Self-treatment using over-the-counter medicines for plantar warts is usually not advisable, especially for diabetics or for those persons with circulatory or cardiovascular conditions. However, it is possible that Dr. Burmeister will prescribe and supervise your use of a wart removal preparation. In some cases, Dr. Burmeister will simply freeze the wart with liquid nitrogen. Other doctor’s treatments include surgical or laser removal as well as applying or injecting medications that will strengthen the immune system’s chances of causing the wart to disappear. There are ways to lessen the likelihood that you will have to deal with plantar warts. It is important that you check your feet for changes in or growths on your skin. Children’s feet should also be checked on a regular basis. Feet should be kept clean and dry; shoes and socks should be changed daily. Walking barefoot should be avoided, saved only for the beach. Shoes should be worn in showers that are shared by others. Since plantar warts can be spread by contact with warts from other people, direct contact should be avoided. They are also spread by blood or by skin that has been shed from a wart on your own body. If you have a suspicious growth on the skin of your foot, Dr. Jeffrey Burmeister, DPM, and his experienced staff are ready to fully diagnose, treat, and see you on your way to pain-free living. Schedule an appointment by calling (904) 765-8889 or by completing an online appointment request at Contact.